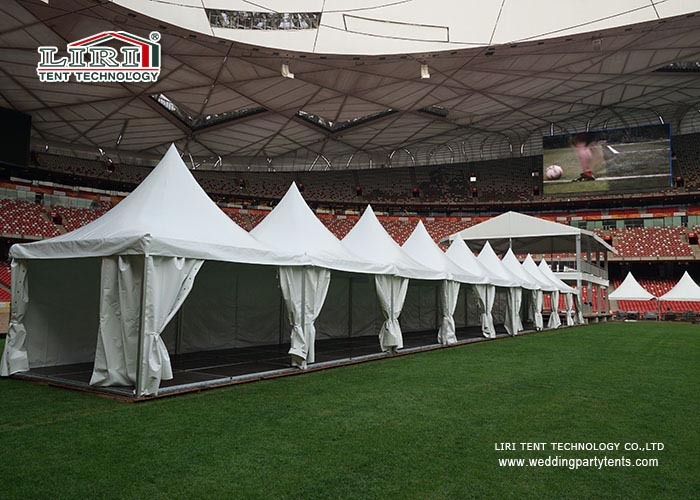 Liri wholesale party tents offer room for your quite individual space design. Side heights are with 2.5m, 2.6m, 3m, 3.3m, 4m meters, however, you can extra it according to your need. The width of the tents can be from 3 to 80m, making a special space feeling. The party tents are great for just about any occasion. Anyone can take the time to buy or rent one and set it up themselves in a small amount of time. Get started right now and start shopping for a new tent and enjoy the backyard a lot more. Other Optional Items: table and chair, lighting, AC Units, carpeting, installation tools, etc.